Paige Martinez Bascle graduated with her Bachelor of Science in Nursing from Nicholls State University in May 2014, and subsequently received her board certification in June of 2014. She worked as a registered nurse at Terrebonne General Medical Center as a medical/post-op surgical nurse until she went back to school in 2016 for her Master of Science in Nursing at Nicholls State University. She went on to receive her orthopedic certification and began working at Gulf Coast Orthopedics in July 2017 as a registered nurse. She graduated from Nicholls State University with her Master of Science in Nursing in December 2018 with a family nursing practitioner concentration. 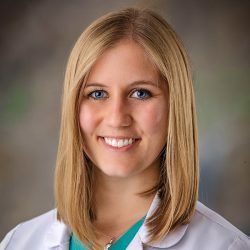 She received her board certification in December 2018 from the American Academy of Nurse Practitioners Certification Board. Paige is a member of Sigma Theta Tau, Xi Zeta national honor society and the National Association of Orthopedic Nurses.